Tempe police today released footage of the self-driving car crash that cost a woman her life. 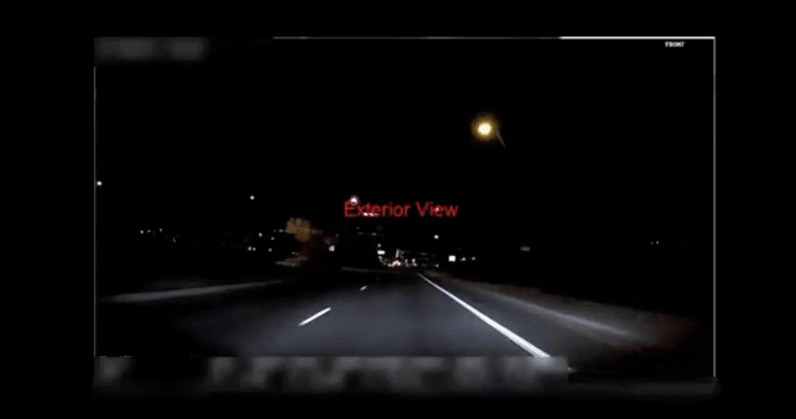 The edited footage shows both internal and external view of the car that struck Elaine Herzberg as she walked her bike across an empty road late Sunday evening. The police report notes that the vehicle involved, one of Uber’s self-driving Volvo XC90 SUVs, was in autonomous mode when the crash occurred. The vehicle had a human safety driver behind the wheel to monitor the self-driving technology and take control in case of an imminent collision, or other emergency. Ultimately, it didn’t make a difference. Herzberg died shortly after arriving at the hospital. Warning: The footage is edited, but still disturbing. The footage answers some questions, while raising others. It’s clear that a human driver, even with both hands on the wheel and autonomous mode disengaged, wouldn’t have had enough time to avoid the collision. As for the autonomous technology, it may not have malfunctioned, as some have speculated. LiDAR is remarkably adept at tracking road signs, vehicles, and pedestrians in most conditions, but struggles with sudden transitions from light to dark — such as moving from a tunnel back onto a well-lit road or, in this case, moving from shadows to the bright light of a car’s front headlights. Autonomous car makers are working on solutions to the problem, such as Sony’s newest camera sensor, with a high sensitivity sensor, HDR capability and anti-flicker tech. As Engadet notes, it’s “one of the first that’s designed specifically to help autonomous vehicles function in less-than-ideal conditions. While Herzberg’s death did put a noticeable blind spot on display for future self-driving technologies, that’s not to say that LiDAR is a weakness. In most cases — in fact nearly all cases to this point — the technology is fully capable of spotting obstacles that could lead to a collision. In this specific scenario, however, the near total darkness mixed with the sudden lighting change proved too much. Another item we’re interested to see in the full report was whether the vehicle acted as designed and answered the number one question surrounding self-driving cars: do you prioritize the life of the car’s passengers, or those around it? For now though, we’ll just have to wait and see. The video is disturbing and heartbreaking to watch, and our thoughts continue to be with Elaine’s loved ones. Our cars remain grounded, and we’re assisting local, state and federal authorities in any way we can.